Back in my student days, I remember a cafe in Cork that used to open as a tapas bar in the evening. Apparently a visiting Spanish chef had struck a deal with the cafe owner to use the kitchen at night, which had the dual purpose of giving me delicious tapas as well as meaning that the venue was busy both day and night. From what I recall, the deal didn't last long (there was some gossip), but I thought the idea of a multitasking venue was clever. I can't really remember many examples of this taking place in Dublin, which is surprising considering the high cost of rents. Plus, it's a great opportunity for some young chefs to take charge of a kitchen, trial out dishes and test them on a willing audience. Given this, I'm delighted to see that every Friday and Saturday night, new venture Salt Lick will set up shop in Hobart's Cafe in Ranelagh. It is the brainchild of Brian McCarthy and William Toft and comes with a very simple idea. Every month will see a short, themed Table d'Hote menu (it's currently Taco month) with two courses for €20 or three for €25. 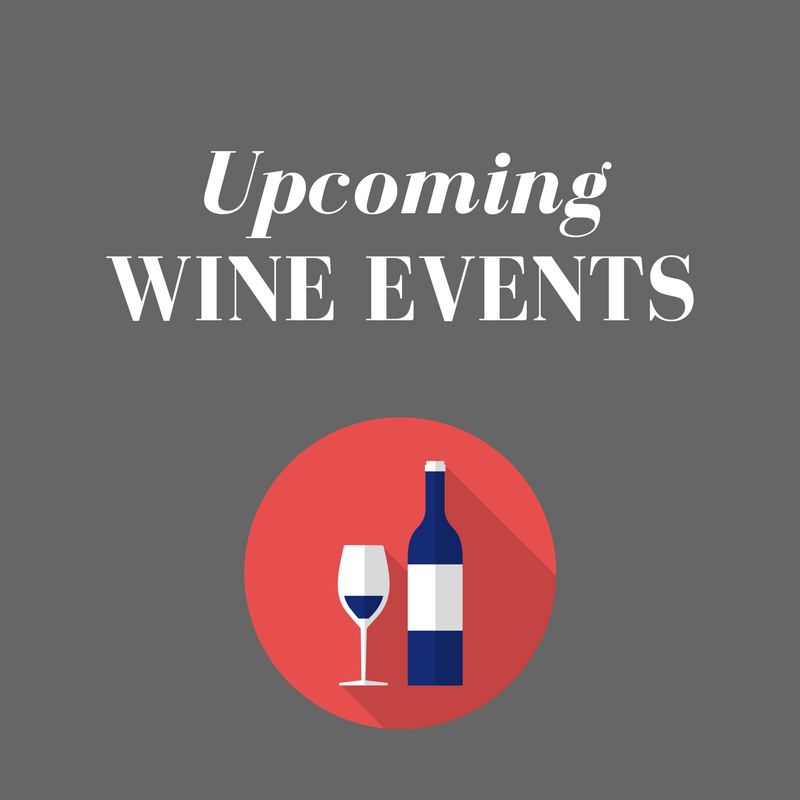 As Salt Lick doesn't have a drinks license, you can mosy up with a bottle of your favourite wine or beer, with recommendations available from nearby Redmond's of Ranelagh. Alternatively, bring a bottle of your chosen spirit, and the clever Salt Lick people will mix you up a cocktail using their house ingredients. The simple menu meant that ordering was a doodle. My starter slate of beetroot, avocado puree, pickled fennel and crumbed feta was very much of the current fashion, but lifted away from the norm by the addition of the fennel. 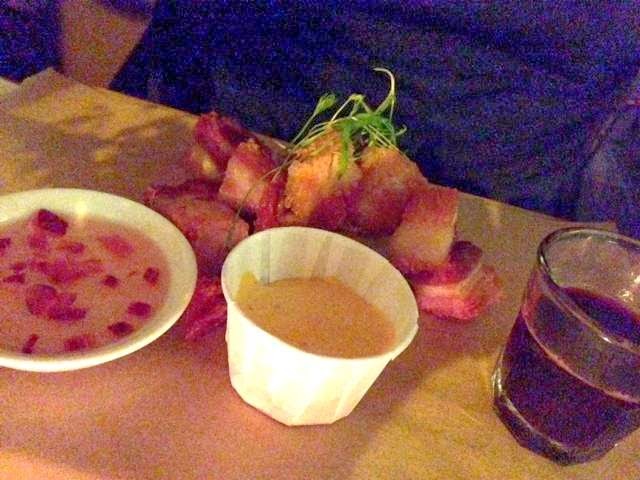 A portion of deep-fried cubed bacon was deliciously fatty and crunchy and each of the three dipping sauces (beetroot syrup, ginger beer glaze and sriracha aioli) was well-chosen to deal with the fattiness. This was the stuff that bacon dreams are made of. (Apologies in advance for the extremely poor photos - it was pretty *romantic* in there). 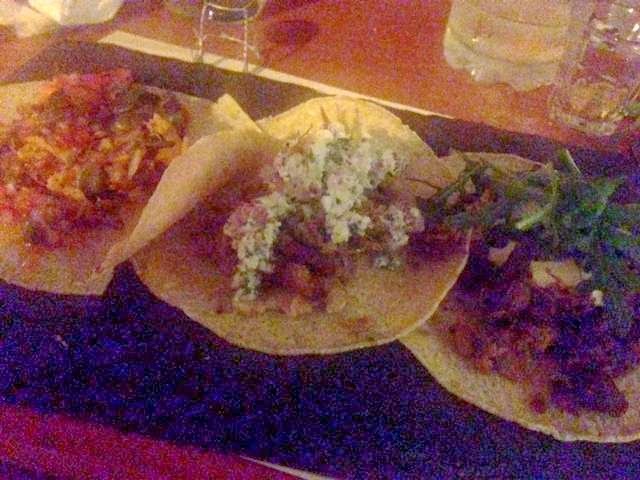 Mains consisted of a plate of three tacos, with 3 different taco flavours on offer. So, rather sensibly, we got one of each variety. The clear winner for both of us was the confit lamb belly with cannelloni bean, parmesan and olive smash with herby feta salad and streaky lamb belly bacon. Delicious flavours and lovely balance. Next was the classic braised pork taco with adobo, salsa, sour cream and tempura pickle. It had all the classic slow cooked pork flavours but with a little touch of freshness. Finally, there was the slow roast shin of beef, miso duxelle, horseradish creme fraiche, capers, rocket and crispy onion. Unfortunately, the capers completely dominated the beef and horseradish, leaving only saltiness. However, we loved the deeply crunchy fries and peppery rocket and parmesan salad served on the side. 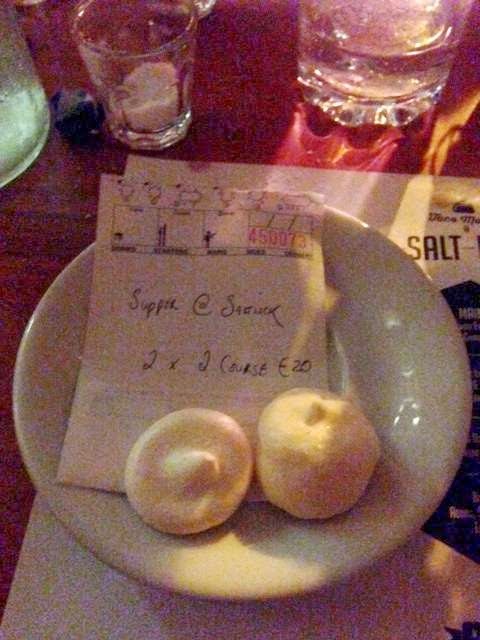 We declined dessert (although the fried bread with dips and the three milk coffee & caramel pudding both sounded tempting) but we were delighted to receive some perfect little meringues with our bill for sweet nibbling. We didn't have time to organise ourselves with a bottle or naggin of spirits (which might have invoked memories of student days), so we didn't get to try the tasty sounding cocktail options at Salt Lick, and instead we made do with a bottle of prosecco. Next time out, I'm bringing a couple of bottles from the spirits shelf and I fully plan to let Salt Lick do their best. I love a good cocktail and I'm up for the challenge. Long and short, it wasn't 100% perfect at Salt Lick. But it's also worth stating that it was their first weekend in business. It was obvious from the (literal) dancing in the aisles that the staff are enthusiastic and enjoying their gig. In the end, there were more than enough high points (that deep-friend bacon, that sriracha aioli and those lovely fries) to make me want to return and sample another of their one-off menus. At €20 a head (for 2 courses), it's a good night out.